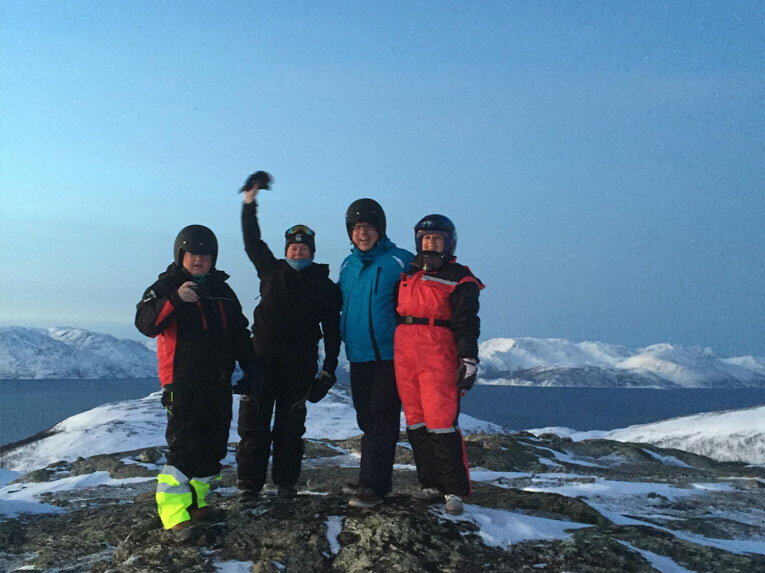 We take you on a 2.5 hour Snowmobiletrip up the mountain to different viewpoints where one can photograph and enjoy the view. The trip takes place in one lovely terrain where one can spot sea eagles, foxes, reindeers during the day or northern lights during the evening. After the trip are served light meal and coffee / tea. Groups of minimum 4 pers, maximum 6 pers.